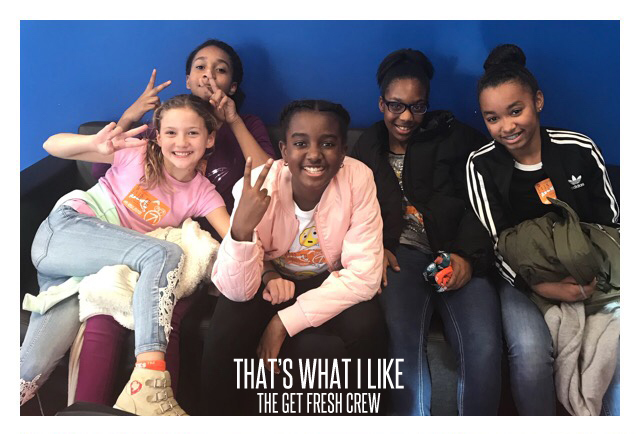 Over the weekend Nay had a sleepover for her 12th birthday and while her and her crew (who I've named The Get Fresh Crew) where in the studio playing Minecraft and The Simms, they were singing Bruno Mar's "That's What I Like." And since they didn't sound half bad, I decided to have them record the song! I already knew they'd be excited to get on the mic but what surprised me the most was they all wanted to know how to record each other and mix in pro tools! Throughout the entire process these 5 shorties showed more swag and professionalism than most artist who have been doing this for years have and the finished product actually sounds dope! I may have just found the next big girl group...hmmmmmm. And if not, I at least found the next girl group that could make it on the next Kidz Bop CD!